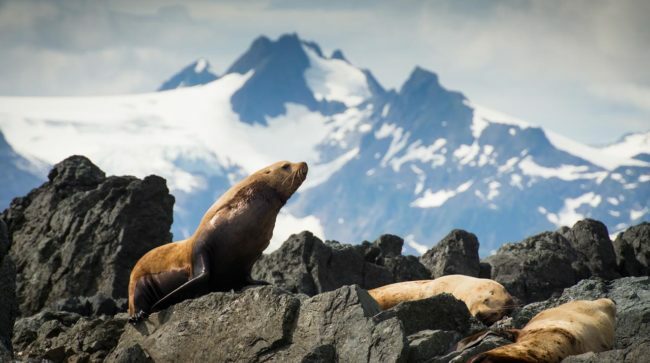 Alaskan Adventure – The Great Canadian Travel Co.
On this small-group cruise you will explore remote islands and witness the silence of the grand Alaskan rain forests. You will see, hear, smell and feel the true wilderness, and learn about it from our experienced naturalist and crew. Today you will board at Petersburg, cruising Frederick Sound, introduction to Alaskan life, introduction to coastal rainforest on walk. Wilderness anchorage at entrance to fjord. 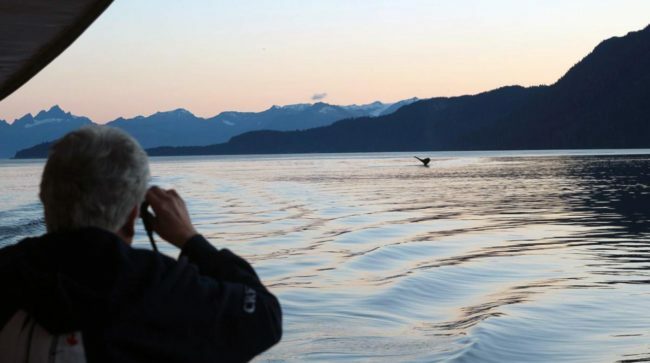 This Alaska small ship cruise is for those who wish to explore the breadth and depth of southeast Alaska’s wildlife, natural beauty, and culture in a personalized way, with expert guides. Cruising spectacular fjord to tidewater glacier, ice bergs, wildlife viewing. Option to zodiac, kayak and/or walk, exploring glacier, ice bergs in this awesome ice world. 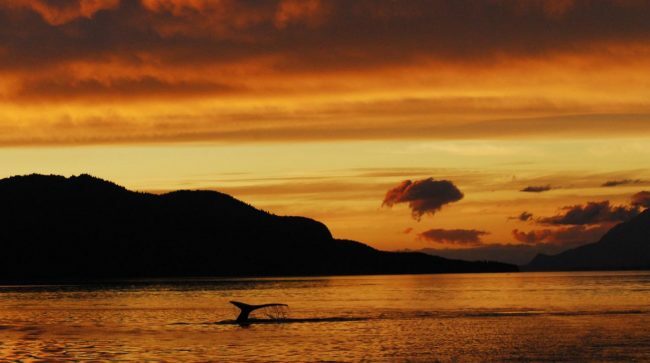 Humpback whales of Frederick Sound, Five Fingers Lighthouse, Windfall Harbour. Explore estuary and look for brown bears. Guided brown bear viewing and rainforest walk up salmon creek at Pack Creek on Admiralty Island, with special access for Swell guests. Frederick Sound marine mammals and islands. Spectacular Baranof inlet and meadow favoured by brown bears. Cruising to Warm Springs Bay. Rainforest/bog walk and natural hot springs. Cruising the waterfall coast of Baranof Island. Peril Strait to Kruzof Island. Hike on Kruzof Island through many eco-types to spectacular west coast beach. Cruising the west coast, sea otters, seabirds. Weather permitting, exploring by zodiac at St. Lazaria, a spectacular island with thousands of nesting seabirds and rich inter-tidal life. Vistas of volcanic Mt. Edgecumbe as it sweeps down toward the sea. Hot springs. Cruise to the historic town of Sitka and disembark for a historic walking tour covering Tlingit, Russian and American history. This evening enjoy a farewell dinner and hotel stay overnight. After breakfast depart anytime today. Routing: this program also operates in the reverse, starting at Sitka and ending in Petersburg. 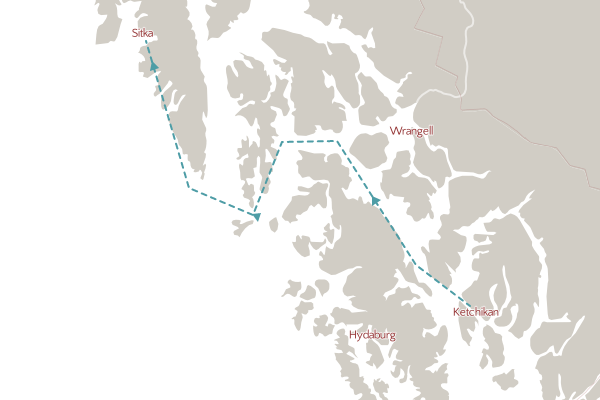 As well, the last sailing starts in Petersburg and ends in Ketchikan. Airfare: Please don’t book your flights until we have verified where your cruise starts and ends. We can arrange your airfare for you or provide you with the dates and flights needed to allow you to book your own flights. Petersburg, AK– Note flights to Petersburg are through Seattle-Tacoma Airport, WA / Airport: Petersburg James A. Johnson Airport (PSG) / Airline: Alaska Airlines. Sitka, AK – Note flights to Sitka are through Seattle-Tacoma Airport, WA/ Airport: Sitka Rocky Gutierrez Airport (SIT) / Airline: Alaska Airlines. From/ To the Airport: Taxi services are readily available at the airport when you land. Contact information for taxi companies is provided to you before your tour, should you need to call the taxi upon your arrival. At the end of your tour your captain will arrange a taxi pick up at the marina to take you to the airport. On board this small, beautifully converted tugboat, the Swell, your exploration of this overpowering wilderness differs significantly from the typical cruise ship experience. You will be part of a small, intimate group of up to twelve people who wish to experience the grandeur of Alaska by becoming a part of it, not by steaming past it at twenty knots. Swell is a beautiful, classic, converted tugboat. She accommodates up to 12 guests in six private cabins (in some areas the legislated maximum is 10 guests), all with full en-suite heads (bathrooms with showers), and a crew of five. 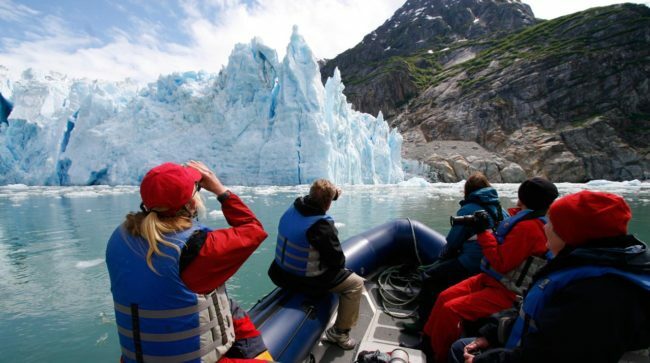 Cruising through sheer-sided glacial fjords, you will behold the powerful forces of nature at work as we experience intimately the tidewater glaciers of Alaska. Picking our way past giant icebergs in unimaginable shades of blue and through floating pack ice, we will make our way to the face of the glacier itself. From zodiacs or kayaks we will hear the great thunderous cracking as building-sized chunks of ice calve into the water. We’ll likely see seals and their newborn pups snoozing on the Alaskan icebergs around us. Islands and Passages with Abundant Wildlife Humpback whales the size of school busses will rise from the ocean beside you. 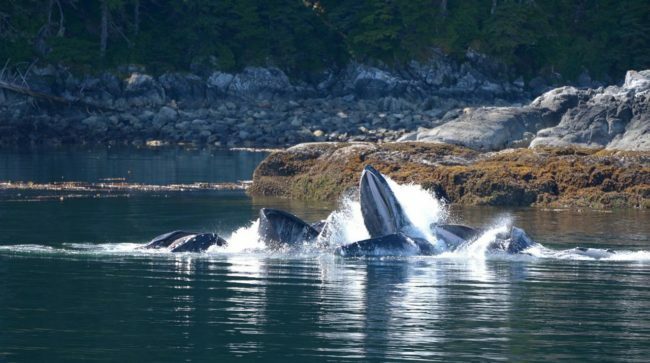 One of the benefits of Maple Leaf Alaska small ship cruise is that you’ll be close enough to hear the whales breathing, to feel the spray as it drifts across the deck. With our naturalist at hand, you’ll learn about these gentle giants as they feed and dive just feet away from you. Our crew know the best places to find wildlife. Curious groups of sea lions at haul-outs; rafts of sea otters. On some trips, you’ll visit a seabird island that is home to thousands of colourful puffins. In quiet anchorages, you’ll explore the rich estuaries where land meets sea. 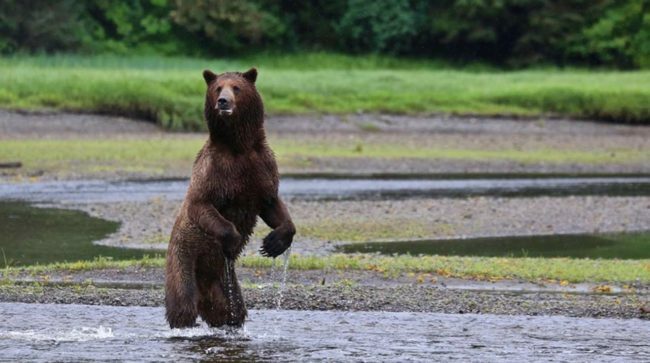 Here, we see brown bears and black bears feeding on sedges, roots, crabs or salmon – and if we’re lucky, we’ll dine on fresh-caught crab and prawns ourselves. Maple Leaf Adventures is one of the very few companies that are allowed to take guests to the Pack Creek bear viewing area at Admiralty Island. This special, restricted area is one of the best places on the planet to view brown bears. 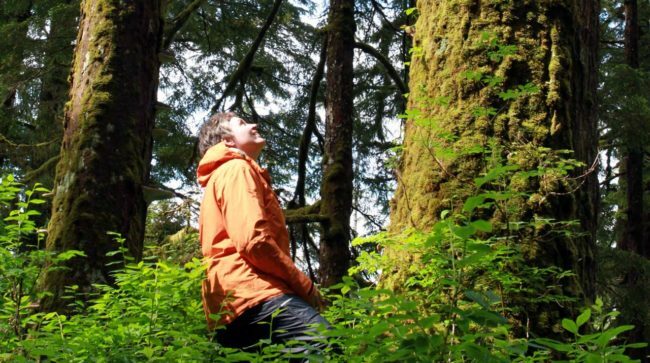 In ancient temperate rainforests we’ll learn from our naturalist of the intricate relationship between forest and sea. We’ll also walk beaches of all kinds to experience Alaska’s wilderness from ground level. On your Alaska cruise, you’ll visit well known coastal towns and villages. They are populated by a few individuals who live in determined isolation, their spirit a legacy of the pioneers who first explored this last frontier. The history of southeast Alaska native cultures (Tlingit, Haida and Tsimshian), as well as of the Russians and Americans, is palpable in the villages and towns. You’ll visit the islands of Baronof, Kruzof, and Chichagof, whose names echo the Russian period of Alaska’s history. Depending on the itinerary, you’ll explore historic Sitka (the former Russian capital), Ketchikan (steeped in Gold Rush history) and Petersberg (with its strong Norwegian heritage). 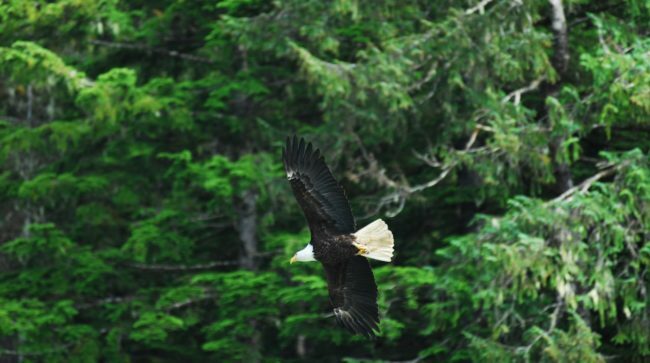 Some trips include a customized visit to Sitka, with historical tour, visits with raptors, meals and a stay in this fantastic Alaskan town, where Tlingit, Russian and American history converge. On most trips we also visit a natural hot spring that bubbles up beside a roaring river. 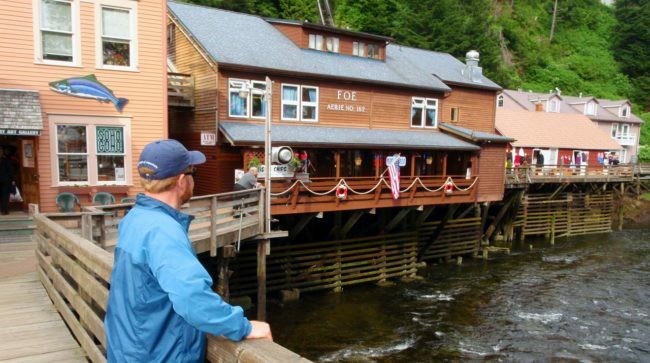 Here the tiny hamlet of Baranof boasts a store and bath houses to complement the natural rock pools.